Create your masterpiece from this Lacing Board! 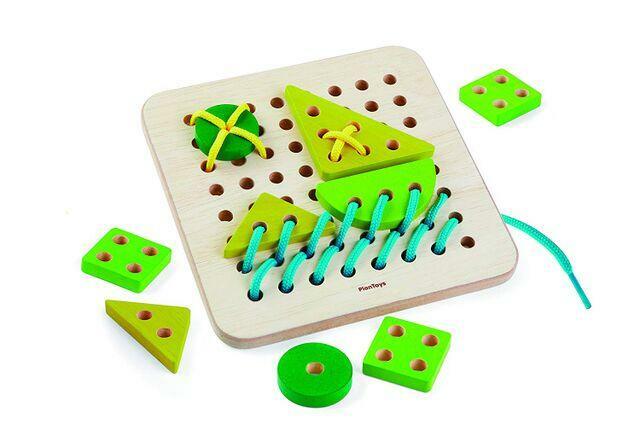 Helps kids develop fine motor skills, hand-eye coordination, as well as reinforce their creativity. Includes: 1 lacing board, 2 laces, 4 different shapes and colors. Dimensions: L: 7" x W: 7"